After a relaxing weekend Monday arrived with a blustery surprise. I thought that my husband Mike was joking when he woke me up and told me that I had a snow day off of work today. However, he was not kidding. Outside our window stretched a fresh landscape of white. I think that this makes #10 for the year ~ but who can keep track? 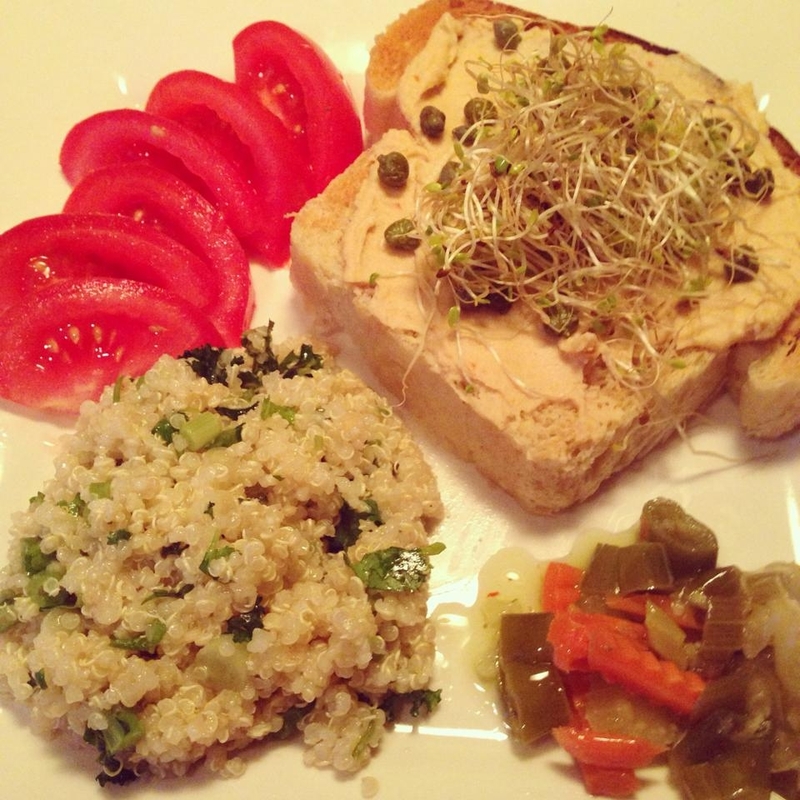 Homemade bread toasted and spread with sun-dried hummus and topped with broccoli sprouts and capers. A side of quinoa tabbouleh, tomatoes, and Chicago style hot peppers. What else is there to do but make the most of the morning and take advantage of extra down time. I enjoyed a breakfast with leftovers from my weekend food prep. If you have been following my blog you know that during the school year I utilize my weekends to make jarred salads, soup, homemade bread, and even make and freeze breakfast for my husband. breakfast. The hummus and tabbouleh was leftover from my Israeli Feast Jarred Salads. 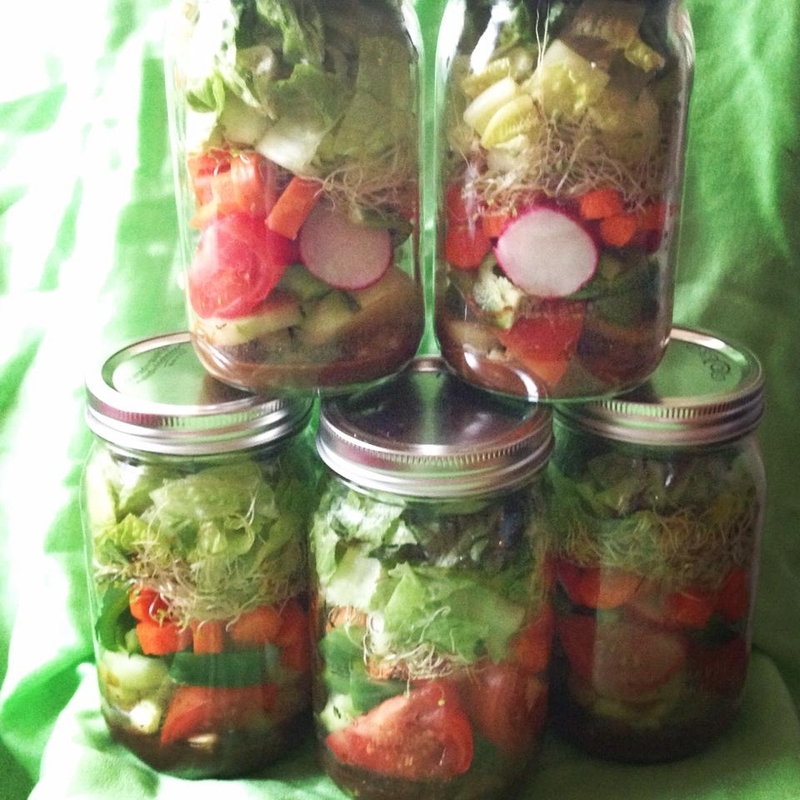 Here is a link to my Mason Jar Salads if you interested in my different combinations. The jar salads have really transformed our meals. I take one to work each day for lunch and my husband eats one for dinner. I pour his out on a plate and rotate each night a different kind of protein on top. Add a cup of soup and you have a quick and convenient meal. 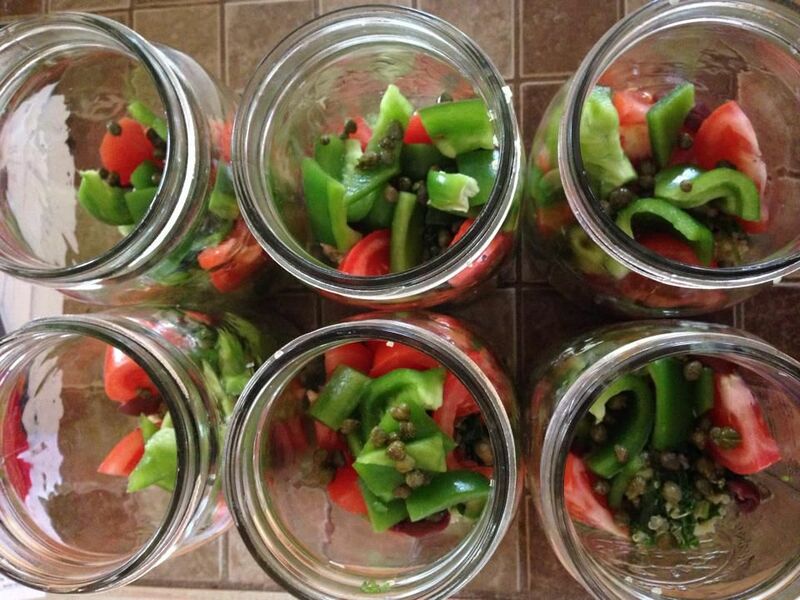 Plus, the glass jars and metal lids help the salads stay fresh all week. 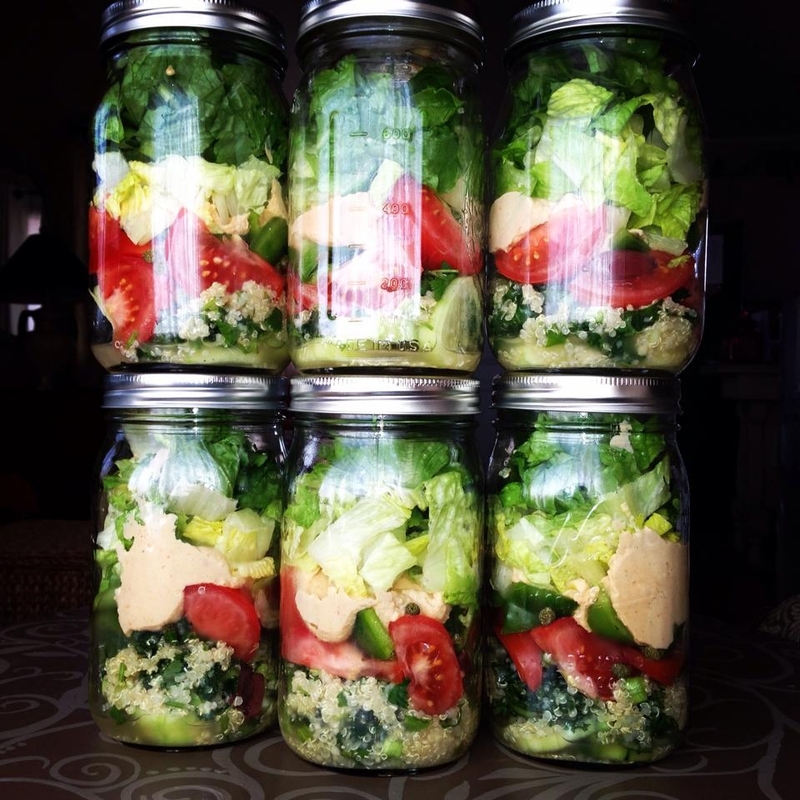 They eliminate throwing out costly produce and since a one quart jar holds over four cups, it is a great way to get more vegetables into your diet. I think that the time that I invest in food prep is a worthy investment. The last thing that I feel like doing when I get home from work is chopping up ingredients for a salad. I promise you that it is time well spent. Many of my Weight Watchers members make the salads and have found that they really help them stay on program and make healthier food choices. 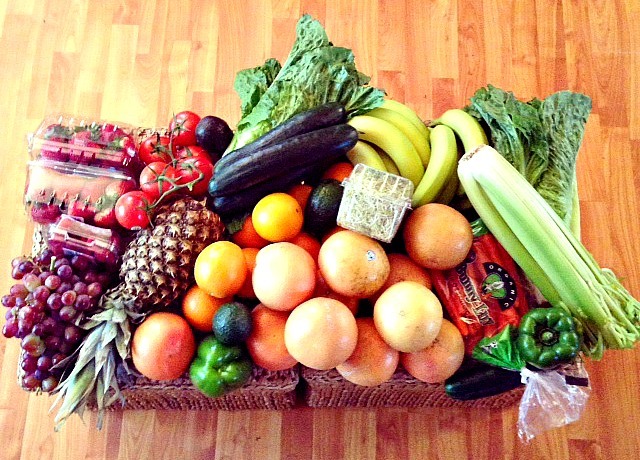 My weekend produce purchase which helps guarantee a healthy week. 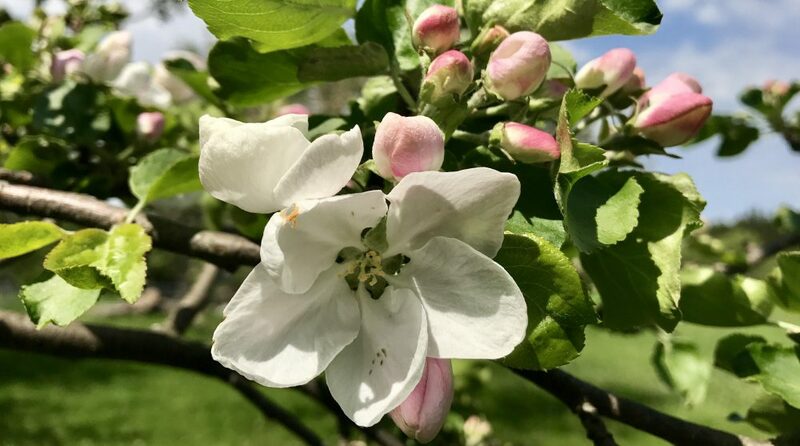 Today’s recipe that I am sharing is one that shows how wistful for spring I am. 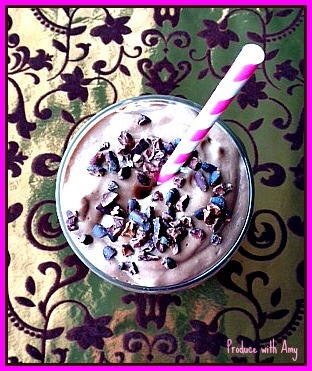 In the past few weeks I have shared a few Dessert Smoothie/Shake recipes. With summer approaching I wanted to share some dairy-free ice cream substitutes that will help satisfy a sweet tooth but still remain healthy. 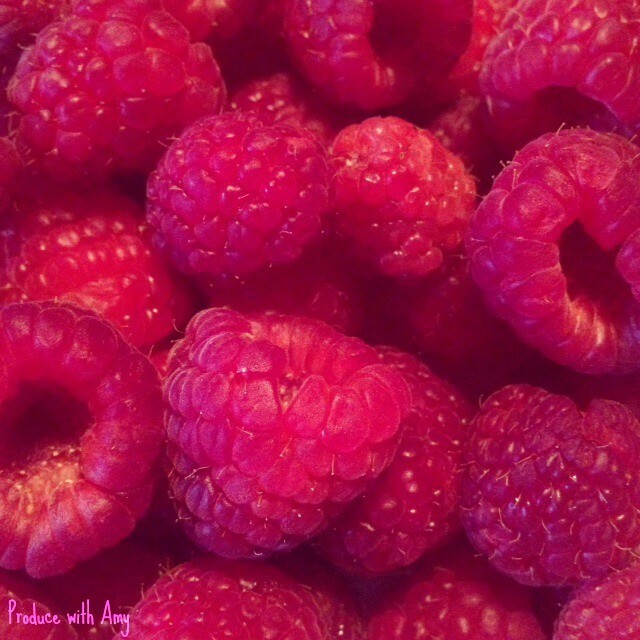 Over the past few years I have virtually eliminated refined sugar from my diet and find that the natural sugars in fruit helps me manage my hunger and I feel better. 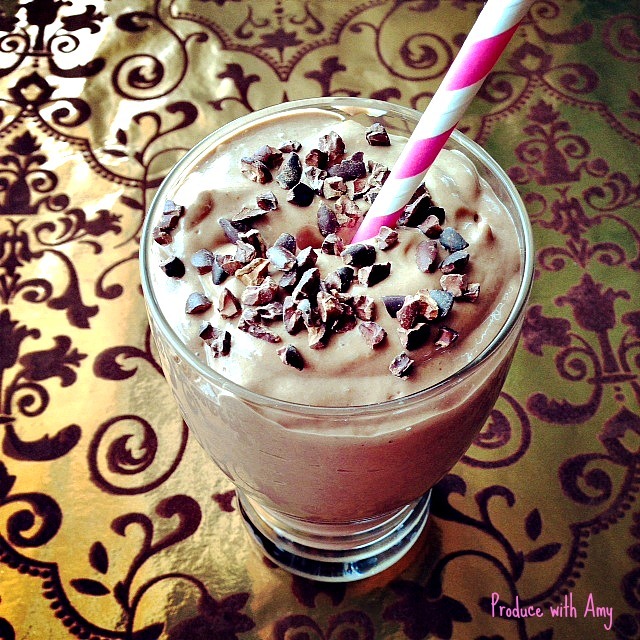 I called this dessert a mousse-shake because it has the texture of a mousse. In fact, I ate half of this shake with a spoon and I think it would be elegant enough to serve at a dinner party. My version is only slightly sweet so if you prefer it to be sweeter you could add your sweetener of choice (maple syrup, agave, organic raw sugar, or even raw honey). 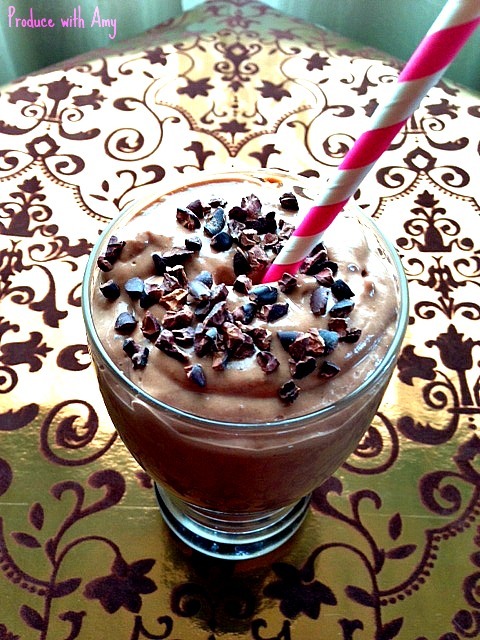 I hope that you enjoy this recipe and that you are finding, or will find, my posts helpful. Cooking and coming up with healthy recipes is my passion and I love being able to share this obsession with others. Please make sure you stop by my Facebook page, sign up for email updates of my posts, and follow me on Pinterest. I love hearing from those who try my recipes and I appreciate your feedback and support. It keeps me inspired when I know that others are enjoying the food combinations that I create. Stay tuned, I am anxious for summer to get here so I can shop our local farmers markets! Have a wonderful day and thank you for joining me on the journey to eat more fruit and vegetables. 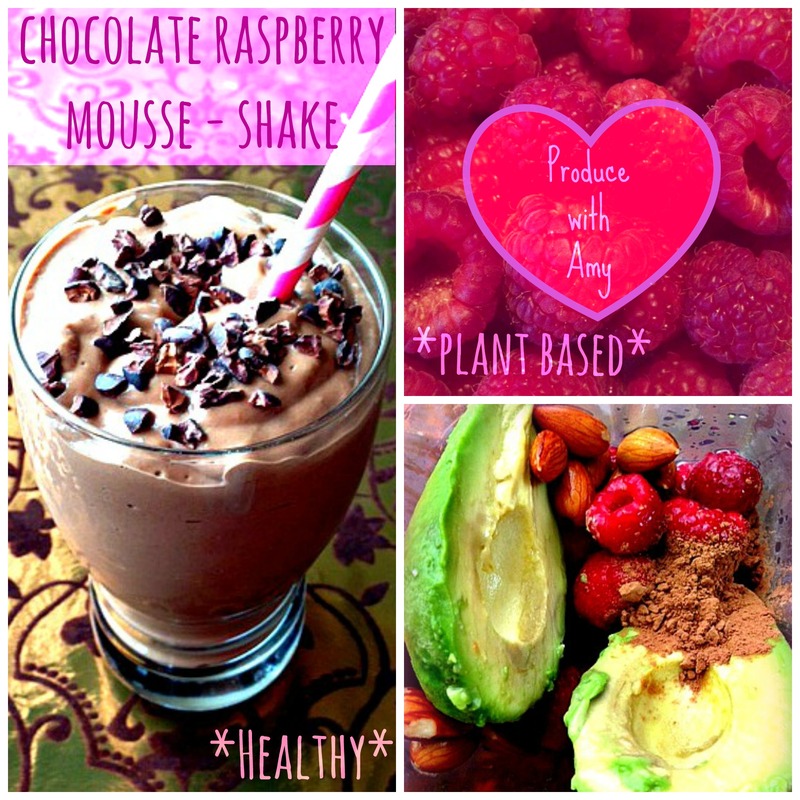 This entry was posted in Dessert, Smoothie and tagged avocado, chocolate, dairy-free ice cream, healthy dessert, plant based dessert, plant based smoothie, raspberries, vegan dessert, vegan smoothie, Vitamix by Amy. Bookmark the permalink.